Representatives of the St. Sava Cathedral, including Dušan Živanović and V. Rev. Fr. Djokan Majstorović, have been meeting with various New York City government agencies on a regular basis since the fire, including: (OEM) Office of Emergency Management,(DOB) Department of Buildings, (LPC) Landmarks Preservation Commission, the Mayor’s Office and the Community Board 5. They appreciate the manner in which the St. Sava community dealt with the aftermath of the fire and its determination to move forward. DOB has ordered that for public safety the South Gable wall on 25th Street be reinforced with metal beams, “shoring and bracing”, and top of the walls be covered with a waterproof canvas, as protection against inclement weather and other destructive elements. 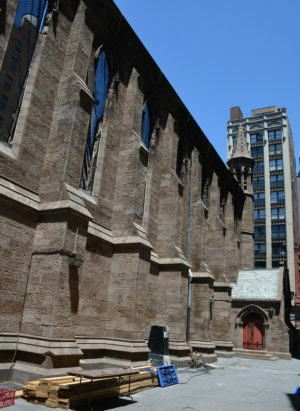 DOB and LPC have approved the plans developed by Cathedral engineers, explaining the ways in which this work would be accomplished. The plans will now be forwarded to an appropriate plant where the metal beams can be manufactured for later installation to reinforce the Cathedral walls. It is estimated that this phase of the project will be completed by September 1, 2016. This will enable us to begin the already planned renovation work on the interior of the Parish Hall, estimated to take approximately a year. 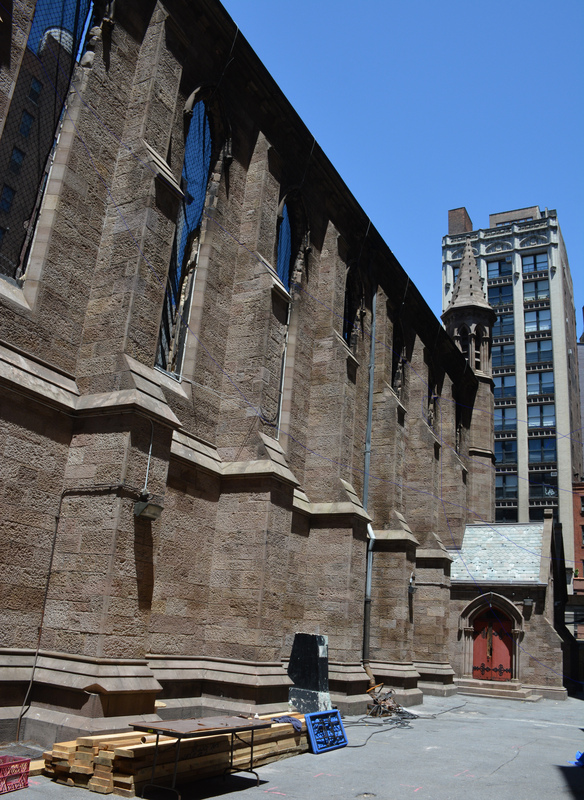 In the interim, the Cathedral community, through their official representatives, real estate attorneys, architects and engineers, will resume discussions with the Landmarks Preservation Commission and relevant city agencies concerning proper procedure for renewal of our church. 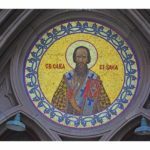 The St. Sava community will be informed through periodic updates regarding the renovation of the Parish Hall and the planning for the renewal of our Cathedral. This process requires careful study and will likely take some time. However, we continue to make progress thanks to the support provided by our community.